It is uncertain how many factors affect urinary iodine concentration. 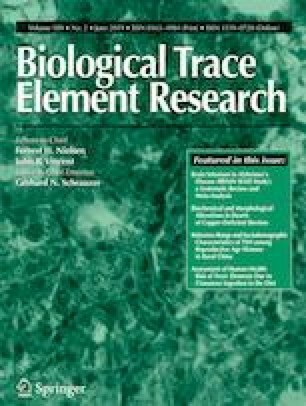 The aim of this study was to determine the effect of consumption of drinking water with high iodine concentration on urinary iodine concentration in pregnant and lactating women, and infants. We included 218 lactating women and their infants and 142 pregnant women in areas with suitable and high water iodine content. Urine, serum, and water iodine concentration were assessed. Breastfeeding women living in areas with high water iodine content had a greater likelihood of iodine sufficiency or iodine excess [odds ratio (P = 0.044, P < 0.001)] compared with women living in areas with suitable water iodine content. Older women were less likely to have higher urinary iodine concentration (P = 0.041). Pregnant women who consumed milk > 4 times weekly during pregnancy were more likely to be iodine sufficient (P = 0.028). Living in areas with high water iodine content for > 5 years is a risk factor for iodine excess (P < 0.001, P = 0.007). There is a probability of higher urinary iodine concentration in pregnant and lactating women and their infants living in areas with high water iodine content. Age had an effect on iodine excess in lactating women. Consumption of milk > 4 times a week during pregnancy and living in an area with high iodine water content for > 5 years were associated with iodine sufficiency and iodine excess in pregnant women. Lixiang Liu and Jiwei Liu contributed equally to this work. We thank the staff at municipal and county level CDC in Shanxi Province for collecting epidemiological data and urine samples and the contributions and support from all participants. Hongmei Shen and Lixiang Liu designed the research. Hongmei Shen, Lixiang Liu, Qingzhen Jia, and Dandan Wang conducted the research. Jiwei Liu analyzed the data and wrote the paper. Hongmei Shen had primary responsibility for the final content. All authors read and approved the final manuscript. This work was supported by the National Natural Science Foundation of China (Grant No. 81273012). All the procedures used in this experiment were reviewed and approved by the biomedical research ethics committee of Harbin Medical University. Informed consent was obtained from all individual participants included in the study.